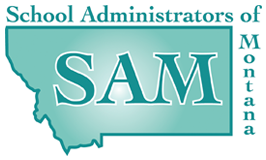 Advocacy: We serve as a united, proactive organization preparing educational leaders to advocate for State and National legislation to ensure Montana students will receive a quality education supported by adequate and sustainable funding. We strive to assure that all students have equal access, are safe and healthy, and will be successful. To learn more of the services SAM provides, you may download our booklet here.